FCA to electrify half of its vehicles by 2022. After 2019, all Maseratis will be electrified, according to FCA CEO Sergio Marchionne. It's part of a larger electrification strategy from FCA as a whole, which intends to have half of its fleet electrified by the end of its five-year plan through 2022, Marchionne said. I'll give you a couple of broad sort of indications of where we are today in terms of the delineation of the post 2018 FCA. The first one and I've mentioned this in passing and other occasions about the fact that there's nothing that will prevent an OEM from engaging in the type of development work that Tesla has done so far. We have been – as you well know, we have been reluctant to embrace that avenue until we saw a clear – a path forward. 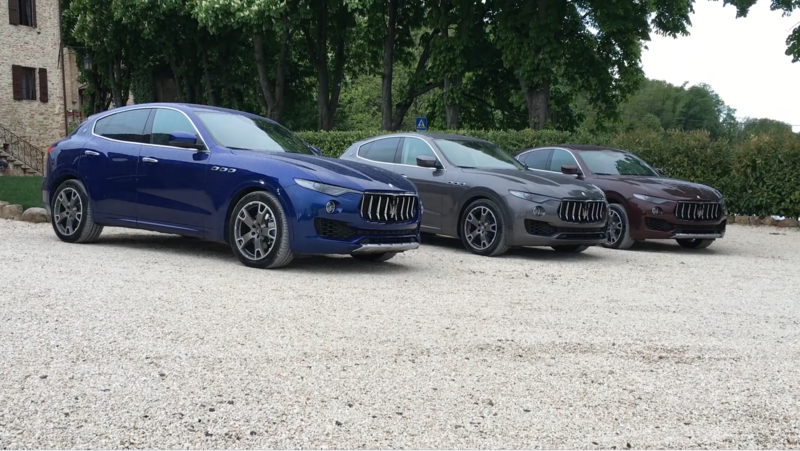 I think we're now in a position to acknowledge at least one of our brands and in particular Maserati will, when it completes the development of its next two models effectively switch all of its portfolio to electrification. It's especially significant because of FCA's feet-dragging when it comes to offering hybrid and electric vehicles. As it currently stands, Fiat offers the 500e ­– of which Sergio Marchionne has said "I hope you don't buy it" because the company loses money on them — and Chrysler offers the Pacifica Hybrid minivan, which experienced significant launch delays. While diesel is an important part of the emissions strategy for 2020 standards in Europe, Marchionne said he thinks the current situation leaves diesel in a "weaker state" as a solution. Hence the electrification push. He said, "I think what has really made the issue absolutely mandatory now is the fate of diesel and the fact that it's actually the inclusion of, especially in Europe, of some type of electrification on gas engines is inevitable." In the short term, at least, it will put pressure on prices. Though Marchionne said he's "encouraged" by the direction of battery costs, he said, "I still think that there's going to be a huge increase in prices in 2021, 2022. If effectively the electrification becomes as widespread as people expect, there has to be a shift in pricing." He also says that FCA has no intention of making its own batteries. "Given the level of knowledge and depth of that knowledge that sits with other people in the industry, what right do I have to enter that space? None." We already know what the first two plug-in vehicles from Maserati will likely be. The company plans to launch an all-electric Alfieri in 2020. Additionally, the Maserati Levante crossover is expected to borrow plug-in hybrid technology from the Chrysler Pacifica Hybrid.